Long before European’s recognized that the Earth revolves around the Sun and that planetary orbits are elliptical (oval shaped), the Eastern clerics of the Indian sub-continent were using their knowledge of these fundamental principles to interpret their world. Their teachings were passed on orally for millennia and were eventually recorded in what we know now as the Vedic scriptures. These texts are the oldest remaining written records from the ancient world and are the first of the 6 Bhartiya Scriptures which are the foundation of Hindu culture. The Vedic texts record the age-old oral teachings of the Eastern clerics whose teachings are believed to have their origins in Babylon. The teachings (Vedas) were delivered directly from God and they provide a moral compass which guide a follower’s words, thoughts and actions on their path to enlightenment, or realization of God. The elegant texts indicate that there are 4 purposes of human life: DHARMA – Righteousness, ARTHA – wealth acquired properly, KAMA – Fulfillment of noble desires and MOKSHA – Liberation or the final Goal. In order to achieve the realization of God, followers must have an intimate understanding of these purposes and the Vedic scripts as well as the Vedang and Upved teachings which influence interpretation of the Vedas through their understanding of arts, science, economics and other important aspects of life. The Vedas are the foundation of Hindu culture and have had a significant influence in Buddhist, Sikh and Zoroastrian traditions. They contain instructions for all rituals, mantras and principles which form the Vedic/Hindu traditions. It is from the Jyotish Vedang that we learn the science of light, or Astronomy and Astrophysics. These great traditions have inspired the development of various sciences including arithmetic, algebra, geometry, astronomy, and astrology. Their understanding of planetary motion and other astronomic activities fostered the development of the first recorded lunar astrology system with the ellipse as its foundation. The rotation of the Moon around the Earth provided a reference point for sectioning the ellipse into 27/8 equal segments (the Moon takes 27.3 days to circle the globe) sections which are referred to as Nakshatras. The system as a whole is said to represent consciousness and each of the individual Nakshatras represent a certain aspect of consciousness. The position of the planets at the time of birth is also a significant factor in Vedic astrology, as are the 12 houses of the zodiac. This introduces a vast range of possible combinations within each segment (Nakshatra) and clearly illustrates how complex the Vedic system of astrology is. 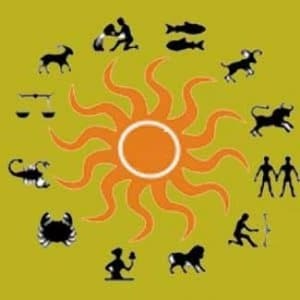 Vedic astrology, a sophisticated system based on ancient clerics’ knowledge of mathematics and astronomy, has existed throughout the ages and illustrates an advanced understanding of mathematics and physics. The first written records of these ancient teachings, the 4 Vedas, are the oldest written records still in existence. They have had a significant influence on spiritual development the world over and give us the Jyotish teachings from which the Vedic astrological system is derived. The interplay of the Nakshatras, planets and houses create a near infinite array of outcomes which allow the teachings to remain relevant today. Next How To Use Marbles As A Divination Tool?